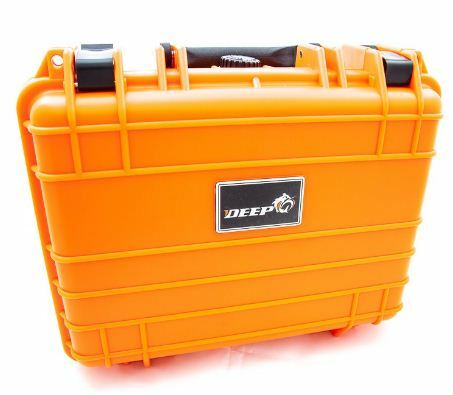 Deep 6 Gear is rapidly making a name for itself for their very economically priced advanced-diving equipment. 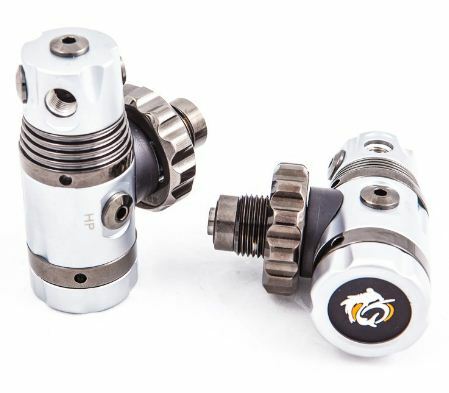 After releasing a good set of sidemount fins earlier this year, they have now released a sidemount regulator package. 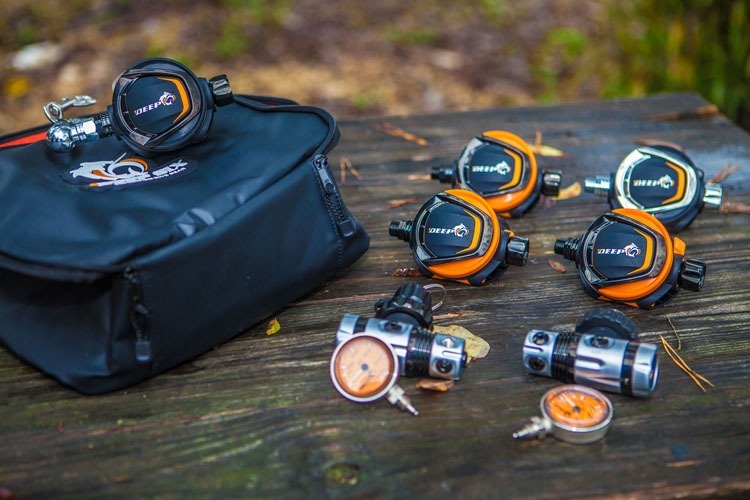 Price at only $880, the Deep 6 sidemount regulator package represents excellent value for money. When ordering the set, you are given a lot of options in regards to hose lengths, SPG types etc…. 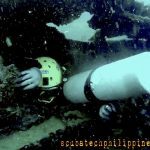 making it a good option for sidemount, where one approach doesn’t fit everyone. The sidemount regulator package comes shipped in a dry box case and comes with a spare set of service kit – which I think is kinda cool and generous. 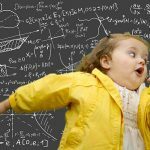 I’ve also been told that Deep 6 offer the first service for free. The regulators are CE (cold water) rated and include some high quality features. You only need to add a long-hose bolt-snap and necklace for the short hose and you’re good to go. The environmentally sealed, balanced diaphragm 1st stages are milled from a block of marine grade brass; and then both chrome and PVD coated, which improves scratch and corrosion resistance. The HP seat poppet is teflon coated (not chrome plated) which is said to give more responsiveness and lowers IP swing during the breathing cycle. The o-rings are also made of teflon, rather than viton. This helps lower the work of breathing. The attention to detail with quality and diving need is very high. The HP ports are angled at 90 degrees for better SPG routing. The 1st stage has 4 LP ports on the swivel, in addition to a 5th port at the end. The DIN wheel is metal, not plastic. The balanced, adjustable flow, 2nd stages are molded polymer with chrome and PVD coating on metal components. The barrel is teflon coated for improved performance. Deep 6 exclusively uses a turbine design in their poppet which creates an internal vortex for improved ease of breathing . I like that Deep 6 supply the sidemount regulator set with rubber hoses. I’ve not been a fan of nylon-braided hoses for a while – I don’t find they route consistently as they tend to kink and flop. There are also a number of reports inner-material degradation on nylon braided hoses (see HERE), a significant risk issue which is currently being investigated by DAN. 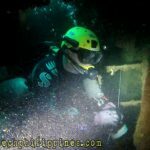 I configure my sidemount kit with a 2m (84″) long hose and a 24″ (61cm) short hose. 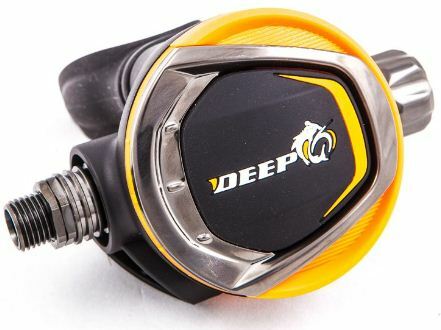 However, if you prefer a different hose configuration, then Deep 6 give a lot of options when you order. The SPGs comes with an orange luminescent background with black lettering, which improves visibility in dark or murky water conditions. 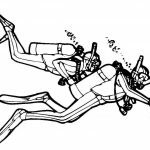 .There are three options for SPG when you order the sidemount regulator package. The standard option is the 1.5″ brass and plastic streamline SPG. 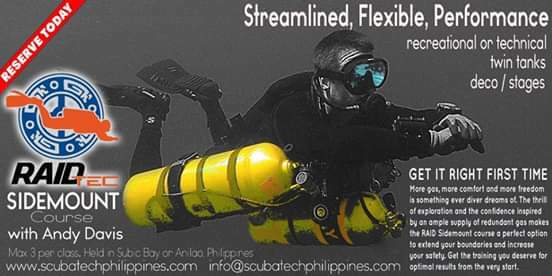 These tend to be the most popular for sidemount as they are less heavy; which stops them drooping from side of the tank. However, you can also opt for 2″ or 2.5″ brass and glass SPGs. At the moment, Deep 6 only list imperial gauges on their website, but metric versions will be available in due course. 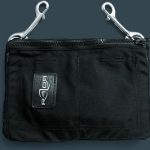 Deep 6 are relatively new on the scuba equipment market, but are already establishing a reputation for being both very economical and good quality. 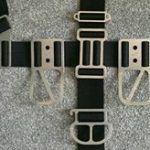 I notice a high level of attention to detail in their products – indicating that their product design and options originate from a team who actually dives the equipment they make. 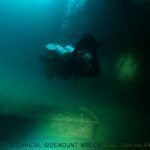 The options given when purchasing the sidemount regulator set enable the diver to get the exact set-up that they need. 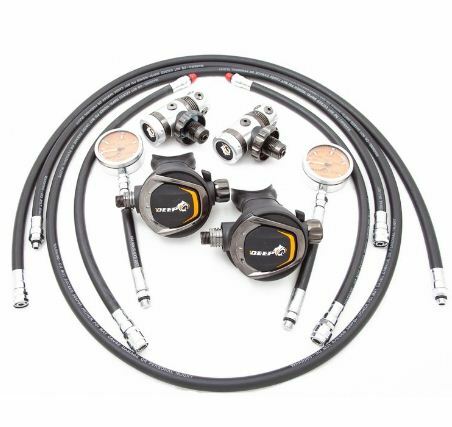 Some of the other sidemount regulator sets on the market come with only a single option for hoses etc…. an option that conforms to only a single configuration method. This forces divers to go out and buy. 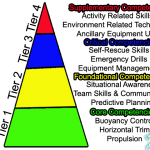 different components to make the configuration they want, or were trained on. 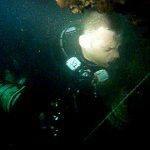 I am glad to see Deep 6 empowers sidemount divers to make their own choices. I’d like to see the gauges available in metric, as imperial is pretty much limited to the US market. 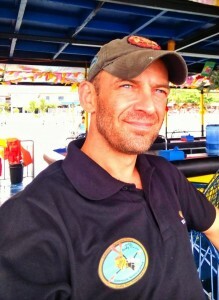 Even in the USA, more and more technical divers are converting to metric system for easier gas management calculations. 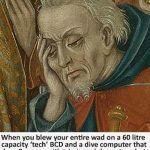 It’d also be nice if the sidemount regulator set included a 70 or 90-degree adapter option for the short hose regulator, and short-hose necklace – rubber or bungee could be offered. 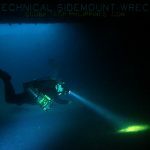 These components are often needed – and new-t0-sidemount divers would appreciate getting it all from the same source. 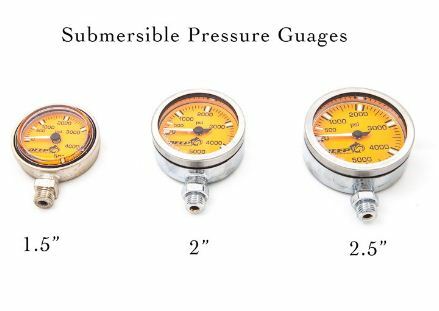 The $880 price tag for this sidemount regulator set represents an excellent value for money – less than half the cost of a set of Apeks, Scubapro or Oceanic sidemount regulators. 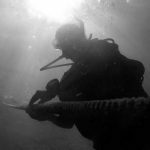 One of the biggest deterrents to divers converting to sidemount is often the cost of equipment. 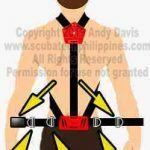 These regulators, in addition to economical sidemount BCDs like the $275 ‘Deco Sidemount‘ represent a market change in providing low-cost options for recreational and technical sidemount equipment.